If you’ve been around the swimming world for any length of time you’ve undoubtedly noticed that swimming is an expensive sport! There’s not a lot you can do to get around some costs because at the end of the day pools must be rented, coaches and life guards must be paid, equipment and suits must be purchased etc… However there are some things you can do to minimize your costs on a day to day basis. 1. Volunteer at meets whenever you get the opportunity. Typically volunteers get free admission, and other perks simply for doing things like timing or posting results. Even when other teams are hosting the meet often you’ll see notes in the meet packets about volunteer opportunities, or sometimes they’ll make announcements at meets asking for help. Recently my husband and I volunteered at a summer championship meet. It was a 3 day prelims/finals meet. By volunteering we saved $34 in admission costs alone, got free heat sheets, 3 good meals per day as well as snacks and drinks in the hospitality room throughout the meet, and free t-shirts! All we had to do was run their copy machine, and post results. Plus we got to watch the meet from the air conditioned control room of the meet. Not too shabby!! 2. Check to see if the meet is on Meet Mobile before you purchase a heat sheet or psych sheet. Meet Mobile is an app that gives you all the info you’ get in heat sheets or psych sheets and more, including events, swimmers, seed times, results etc. Many meets now use this app, so be sure to check if the meet is available on meet mobile before shelling out money for heat sheets or psych sheets! 3. Properly care for your suits, and reuse old suits for practice and drag suits. As I talked about at length in How to Care for Swim Suit and Save Money, properly caring for your suits will extend their lives, and save you money in the long run. You can also recycle suits. For example, competition suits that are too worn out for meets become great practice suits, and practice suits that are threadbare or have holes are perfect drag suits! 4. Bring your own food to the meets. 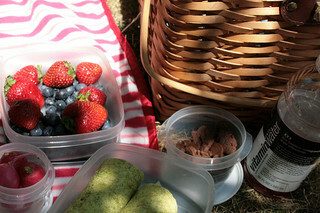 Most meets allow you to bring in outside food and drinks, so pack a lunch, snacks, and drinks for you and your swimmer. You’ll save a ton of money at the concession stand,and it will probably be a lot healthier! Not to mention a whole lot tastier than more cold pizza and stale donuts. 5. Car pool. These days gas prices are no joke! Save money by car pooling with other people from your team. Take turn driving to practice and even those far away meets. 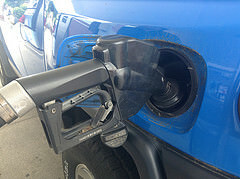 Not only will this save money in gas but it will also save wear and tear on your car. Plus, it’ll save you time having to go to practice everyday. Just be sure to take your fair share of turns driving! 6. Stay at the meet between prelims and finals. A lot of people will go out to eat, shop, or go home between prelims and finals. Not me, I bring snacks, a good book to read, a comfy chair and settle in for those glorious few hours of peace and quiet between prelims and finals. My swimmers bring pillows and blankets and curl up to take a nap, do homework, or hang out with their friends. Honestly, it is very relaxing! Plus it saves money on gas, food, and the inevitable other stuff you’ll end up buying if you leave. To save even more, download the free Kindle App and read download books from your local library! 7. Find cheaper alternate parking. Some pools charge to park in their lot or garage, but if you’re willing to walk a little you can usually find cheaper or even free parking. For example, our swimmers have meets quite often at Cleveland State University. Parking there is $10 per day! That adds up fast over a 3 day meet, and that doesn’t even get into admission costs. But there is a secret. 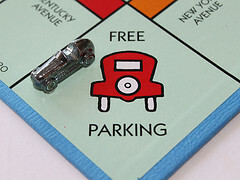 Parking on the street is free on the weekends! So you might have to walk a couple of blocks but it’ll save you a lot of money…think of it as them paying you to exercise! 8. Know which types of meets are appropriate for your swimmer to wear expensive technical suits at and don’t bring them out until then. There is a time and place for tech suits…LZRs, Fast Skins, etc… These suits cost hundreds of dollars each and you can only wear them a few times before they wear out. Some parents seem to think that their kids need these suits for every meet. Clearly these people have more money than sense. These suits should be reserved for only the most important championship or qualifying meets. Not only does this save hundreds, or even thousands of dollars over the course of a year, but it will be better for your child’s swimming in the long run. 9. Put you kids names on their suits and equipment Seems simplistic, but putting names and team identification on suits, equipment, bags, water bottles, clothes, goggles, etc will save you tons of money when you swimmer inevitably leaves his or her stuff behind on decks or in locker rooms. Coaches, meet workers, and even other parents are usually great at finding these left behind items, but finding their owner can be difficult, if not impossible, if there is no identifying information available. 10. Ask your swimmer if they have all of their stuff before they leave. It will undoubtedly annoy your kids, but still ask them if they have all their basic stuff before you leave for meets or practice, and ask again on the way home. Just this weekend, we were on our way to a meet which was over an hour away from home, and just before we pulled out of the driveway my 11 year old realized he forgot his suit. Then 10 minutes into the drive my 17 year old realized he forgot to put his contacts in. Not all oopsies can be avoided, especially when you’re dealing with tweens and teens…but the more you can catch before you leave, the less gas and time you’ll waste with trips back home for forgotten items, and the fewer “emergency” purchases at the meet vendor or swim shops you’ll need to make. 11. Start an equipment swap on your team. 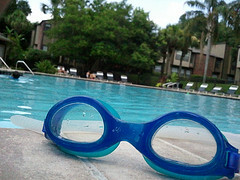 We all have stuff that our swimmers have out grown but still has life left in it. Or you buy something, and then the kids discover that they just don’t like it. Then these items just end up cluttering your house and collecting dust. Instead of housing grave yard of flippers, suits, drag suits, goggles etc..and let these things go to waste, see if your team is willing to set up a swap day or two each season. Everyone brings stuff they can’t use anymore and puts it out and anyone who can use it can take it. We do this some years on registration day, and it is a huge help to many families. 12. 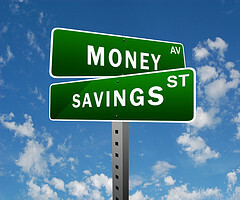 Know where to shop for the best deals, and look for things on clearance! Shop around for the best deals. SwimOutlet.com is an awesome place to get great deals on suits, equipment and all sorts of swimming related stuff. Their clearance corner page often has incredible deals. Also, check the clearance racks at your local swim shops and with swim meet vendors. It doesn’t matter what your practice suits look like as long a they get the job done. In fact on my daughter’s high school team the girls actually pride themselves and go out of their way to find the “ugliest” practice suits they can. It is actually pretty funny…and surprisingly economical! Don’t confuse being frugal with being a thief or a jerk. I’m all for saving money, but there are a few places where you should draw the line. 1. Do not sneak into a meet. Meet hosts pay a lot of money to rent pools, and put a ridiculous amount of energy into running meets. Do not steal from these people by sneaking in, pay your admission fees! 2. Do not let your kids deck shop! (AKA, “look at this great suit/goggles/electronic device I found just laying around on the deck/in the locker room.”) Finders keepers is not an acceptable philosophy, so turn that stuff into lost and found, or simply leave it alone. Somewhere some poor kid is freaking out because he doesn’t want to have to tell his parents that he can’t find that suit/iPhone/pair of goggles that your kid just picked up. 3. Do not argue with meet workers about prices, or try to negotiate a discount on admission or heat sheet prices. The guy at the table did not set the price. That would be like arguing with a McDonald’s cashier that your Big Mac is too pricey. Admission prices are listed in meet packets, check them before you register for the meet, if you think they are too high, then don’t sign up for the meet. Finally, if you are looking to save money on a grander scale, such as trying to keep your team’s registration costs manageable, there are ways to do that too. First, be sure to support your team’s fundraisers either financially or through volunteering, or better yet do both. Most teams use a good portion of these funds to try to keep registration costs down. Second, get involved with your team’s board/leadership so you can help them come up with great money saving plans, then most importantly, roll your sleeves up and help out! So what money saving tips have I forgotten? Share your tips in the comments!